Our very own Fred Jackson had a rare dual presentation at the last meeting. His President's Corner segment featured a great history of Lake Forest and he highlighted the Program with an informative session about his Service to our Community as the Executive Director of Lake Forest's Parks & Recreation division. While some members of the Armed Services carry a "Challenge Medal", Fred carries this National Gold Medal Award with him in his back pocket-just ask him. Actually, this prestigious award was given to Lake Forest for Excellence and it's easy to know Fred played a big part in this. 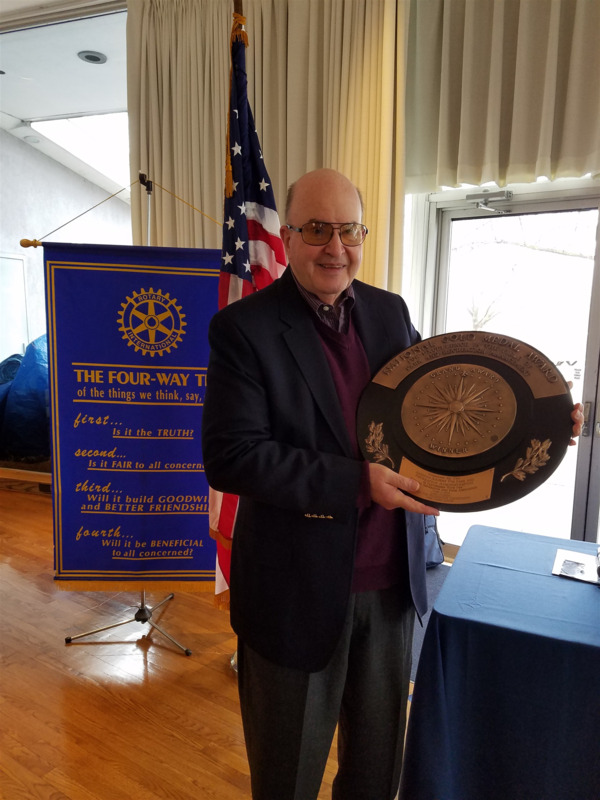 With all of Fred's hard work in the community and as a Rotarian there is no award big enough to say Thanks Fred!